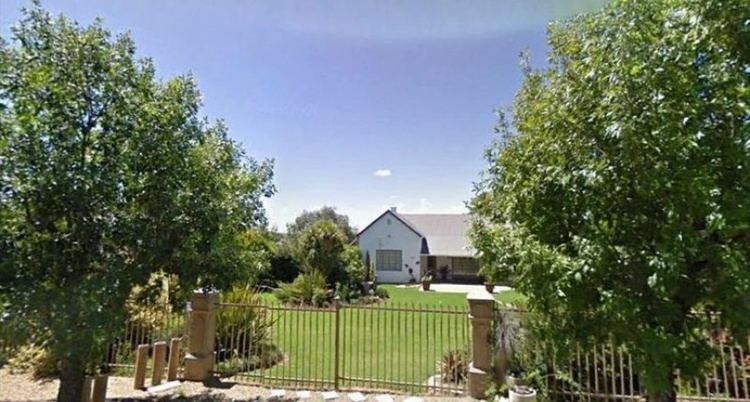 Aliwal North is a town in central South Africa on the Orange River, Eastern Cape Province. Aliwal North is the seat of the Maletswai Local Municipality within the Joe Gqabi District Municipality. Aliwal North is named in tribute to Sir Harry Smith. Sir Harry Smith, then Governor of the Cape Colony, formally founded the small town of Aliwal North in the Cape Province of South Africa in 1850. 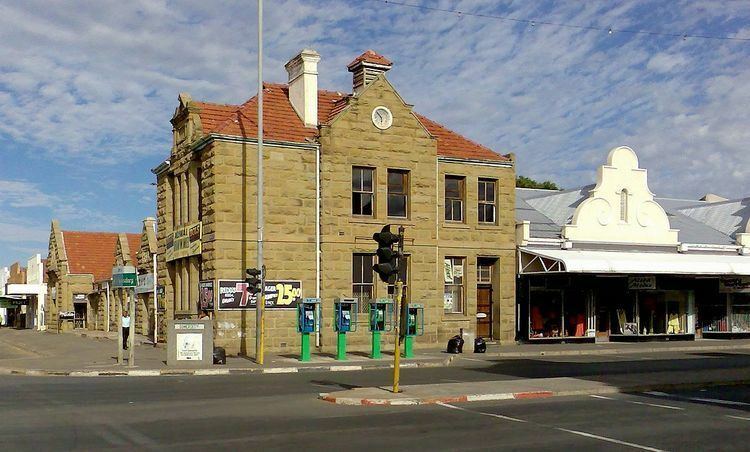 He named the town "Aliwal" in memory of his victory over the Sikhs at the Battle of Aliwal during the First Sikh War in India in 1846, and "North" in opposition to Aliwal South (now Mossel Bay). The town was laid out in 1849 on ground acquired by the government. This was auctioned and 38 lots were sold for £972. The park in the centre of Aliwal North, the Juana Square Gardens was named after Smith's wife Juana Maria de Los Dolores de Leon. One of the first white settlers in the area, Pieter Jacobus de Wet built a house at nearby Buffelsvlei around 1828. Municipal status was attained in 1882. The railway line from Molteno reached Aliwal North on 2 September 1885. 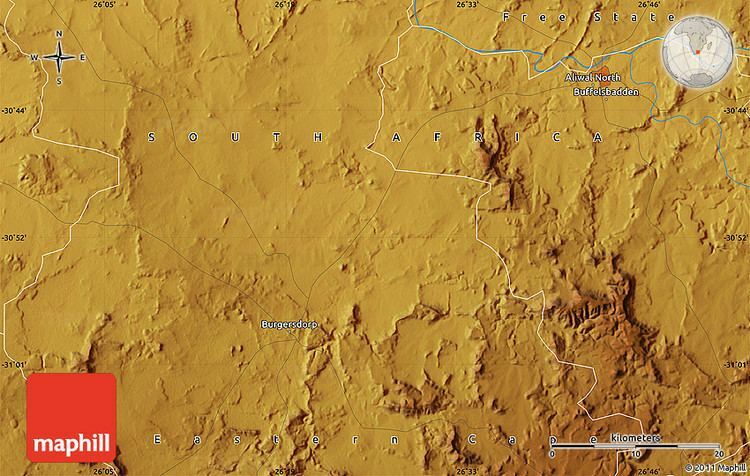 The settlement of the area and its development into a town probably is connected to the presence of good water, thermal springs and a good fording place ('drift') across the Orange River, just below its confluence with the Kraai River. The Frere Bridge was opened in 1880 and later replaced with the General Hertzog Bridge, leading to Bloemfontein, 206 km to the north. To the south-west of the town, the Kramberg raises to 2000 m above sea level. The central business district is surrounded by the following suburbs: Dukathole, Hilton, Joe Gqabi, the Springs (where the well-known Aliwal Spa is situated) and Arborsig. Many residents and staff of the Goedemoed Correctional Services facility (situated on the Free State side of the Orange River) also use the town's many businesses, hospital, churches and schools. The town is connected to neighbouring towns via a good roads system, and serve as a thoroughfare for tourists en route to resorts in die Eastern Cape Drakensberg. Unfortunately, the railway station had to close, due to lack of rail traffic. The town also has a good airfield with three grass runways, safe to be used during daylight. The principal attractions of Aliwal North are two hot mineral springs, both of which have extremely high concentrations of minerals and gases. The thermal springs resort, named Aliwal Spa, is located within the municipal area. During 2010–2014 this once beautiful resort underwent re-construction by the Maletswai Municipality's contractors, and opened again for public use in 2015.